Spring is finally here! The days are getting longer and the temperature rises but for many people, this may also trigger the return of asthma symptoms. These symptoms can be extremely uncomfortable, especially for young asthmatic individuals, such as children and teenagers. Asthma is an extremely common chronic and potentially life-threatening condition that affects 300 millions of people worldwide and nearly 10% of children. Furthermore, the International Study of Asthma and Allergies in Childhood, ISAAC study 1, evaluated the prevalence of Asthma among 13-14 years old teenagers, the prevalence of severe asthma was more than 7,5% in many countries with highest prevalence in English speaking countries, European Union and Latin America countries. What is asthma and consequences in childhood? Even though considerable progress has been made in asthma management, exacerbations continue to occur and constitute a major burden on health care resources. Respiratory tract viruses in particular have emerged as the most frequent triggers for exacerbations in both children and adults. As stated in a 2012 study by Ahanchian et al. ; licensee BioMed Central Ltd, “viral respiratory infections are the major cause of acute asthma exacerbations and may contribute to asthma inception in high risk young children with susceptible genetic background.”In view of the fact that other environmental exposures, including allergens and pollutants, also vary by season, it seems probable that a combination of factors results in the seasonal peaks seen in exacerbations. Combination medications can also be prescribed : a corticosteroid plus a bronchodilator. The bronchodilator opens the airways, making it easier to breathe. The inhaled corticosteroid reduces inflammation in the airways. A large part of keeping asthma under control and preventing ‘asthma attacks’ involves preventative measures like avoiding known triggers. 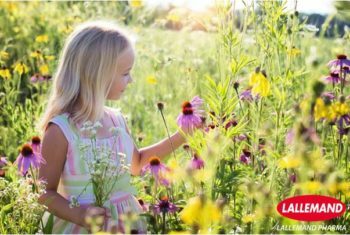 In childhood asthma, the lungs and airways become easily inflamed when exposed to certain triggers, such as inhaling pollen or catching a cold or other respiratory infection. Paediatric asthma can cause irritating daily symptoms that interfere with play, sports, school and sleep. In some children, unmanaged asthma can cause dangerous asthma exacerbations or attacks. Asthma signs and symptoms vary from child to child, and might get worse or better over time. A child might have only one indication, such as a lingering cough or chest congestion.